Have you thought about signing up for Katy TX Mixed Martial Arts Training but you still have some reservations? Maybe you feel like you’re not physically capable of such a thing, or perhaps your mind is lacking. 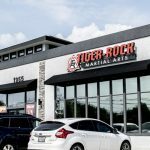 If your confidence and self-esteem are falling and you don’t know what to do, Tiger-Rock Martial Arts is here to help. Our team of seasoned instructors and certified experts will help you reach your goals and become better. Read more to find out how we do this. Our dojo was founded back in 1983. Today, we are currently the most popular and successful martial arts franchise in the nation. Each and every one of our 100+ locations is staffed with a team of certified instructors who want to help you reach your goals. If you’re trying to learn Korean Taekwondo and self-defense, we’re here to help you. As long as you commit to our schedules, programs, and workouts, you will most definitely see the positive results. Are you worried about your flexibility? Perhaps you live a very sedentary life, and you’re noticing that you’re becoming very stiff. If you’re not happy with your range of motion, we think you should visit a martial arts gym. Training like this can help your limbs become more nimble and quick. Furthermore, you’ll also be able to complete the drills and skills training that we expect out of our students. Cardiovascular health is another big concern of a lot of our students. If you are easily winded by going up a flight of stairs or walking around a store, you may feel like you’re not ready for karate. Even though these things will be changed in our dojo, you don’t have to let them hold you back. We have students who come from all different types of physical capability levels. If you don’t think you’re ready for this, put your doubt aside and sign up for a class. We’ll make sure you are placed into a program that really fits your current capabilities and future goals. While many people think that martial arts are only good for physical fitness, its benefits run much deeper than that. Are you someone who struggles with keeping focus for long durations of time? Perhaps you’re having a lot of mental lapses throughout the day and you’re beginning to become worried. Unfortunately, in this day and age, we are all prone to having short attention spans. While this is something that many of us struggle with, there are lots of ways to make this better. Training martial arts is a great way to increase your focus. Mental toughness is something you can’t put a price on. We all want to become mentally stronger, and nearly everybody is looking for a way to improve their brain. If you’re trying to do this while also enhancing your physical fitness, let us know. We have tons of solutions that can help you find the balance between mind, body, and soul. We want to provide you with a complete transformation that makes your life better for the long haul. In addition to providing adults with classes and courses, did you know that we have programs for kids, too? We understand how important it is to get children acclimated to martial arts at a young age. Studies show that the sooner you enroll a child into a karate program, the sooner they’ll start becoming more disciplined and respectful. We want your kids to experience the positive benefits of martial arts, and we believe it starts here at Tiger-Rock. Are you having some bullying problems? While you might think that martial arts will promote fighting and make the situation worse, this is simply untrue. The discipline and tranquility your child will experience in a dojo will be unlike anything he or she has experienced. While we do teach children how to strike and kick, we never promote violence. Whether your child is dealing with a bully at school or being the aggressor, our instructors are here to help. Our experts understand how to connect with children, and they’ve been doing this for years. You’ll be able to count on them to provide your offspring with the training they need to become better people. Call Tiger-Rock When You Need a Karate Dojo! Discipline is one of the most important factors in our courses. At Tiger-Rock, there is no such thing as shortcuts. Each and every rank that’s part of our 15-step program is earned. The only thing that will get you to the next level is hard work and proficiency. We believe that these principles are applicable to other aspects of life. If you see yourself steadily working hard and ranking up, we think you’ll notice motivation and confidence in other areas of your day. Who’s to say you can’t put your mind towards that big promotion at work that opened up? Maybe you’re trying to make the honor roll this semester but you’re doubting our capabilities. If so, enrolling in our program could be a huge mental benefit to you. 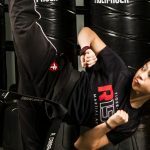 Our Katy TX Mixed Martial Arts Training services are here to become the best version of yourself. Nobody wants to be unable to reach their goals and achieve their dreams, and we understand that. If you’re ready to improve your Taekwondo skills but you don’t know where to start, give us a call today. Our representatives can provide you with more information on our services as well as our class times. Over the years, Katy has shown that we are a modern city that can contribute economically and financially. Did you know that Amazon is going to be building a center right here in Katy? We couldn’t be happier about this, and we can’t wait to positively influence this city. If you’re looking for great food and nice clothes, the Katy Mills Mall is a great place to shop at. Katy, Texas sits right in the middle of The Woodlands-Sugar Land-Houston metro area.